Melissa Avery, PhD, CNM, a recognized leader in her field, is a professor and Chair of the Child and Family Health Cooperative Unit at the University of Minnesota School of Nursing. Dr. Avery’s research interests include: Vaginal birth after Cesarean section (VBAC), exercise and pregnancy, exercise and gestational diabetes, maternal confidence for labor and birth, and technology enhanced learning. Dr. Avery is currently working on a study projected to conclude in 2015 examining how prenatal care providers can help enhance women’s confidence for physiologic labor and birth. Mary Chesney, PhD, APRN, has current scholarship interest in areas including; health care delivery/reform models for children with special health care needs, utilization of advance practice registered nurses in new models of care, and family adjustment following international adoption and special needs adoption. Currently, she is a member of the Center for Child and Family Health Promotion Research and Center for Children with Special Health Care Needs at the University of Minnesota. Dr. Chesney is actively engaged in state and federal health policy issues. 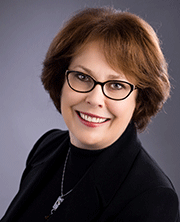 She has served appointments as an advanced practice nursing expert on numerous MN legislative health care reform and health care workforce workgroups from 2007 to present. Dr. Chesney currently serves as the President of the National Association of Pediatric Nurse Practitioners. She is nationally recognized as an expert in advanced practice registered nurse (APRN) practice and reimbursement issues. 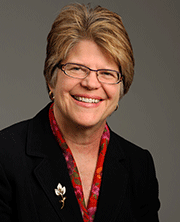 She co-founded and chaired the MN APRN Coalition and led the organization as Chair/President from 2009 to July 2014. Recently, she led the organization’s successful 2013-2014 legislative campaign to bring full practice authority to Minnesota’s APRNs. 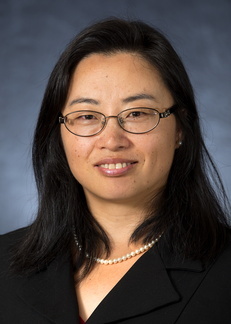 Dr. Fang Yu is an associate professor at the University of Minnesota School of Nursing. Dr. Yu’s teaching revolves around gerontological nursing, research, evidence-based practice, Science of Nursing Intervention, and AGNP specialty courses. Aside from teaching, Dr. Yu enjoys research on the following topics: effects of aerobic exercise in Alzheimer’s disease, physical activity and cognition, community-based care for older adults with Alzheimer’s disease and other dementias, and prevent cognitive decline in older adults. Dr. Yu is currently investigating the effects of a novel 6-month, individualized, moderate intensity cycling intervention on cognition and hippocampal volume in community-dwelling older adults with mild-to-moderate Alzheimer’s disease.